H.265 (also known as HEVC, short for High Efficiency Video Coding) ensures to deliver video quality identical to H.264 AVC at only half the bit rate. While it has not be accepted by most media players or NLEs. 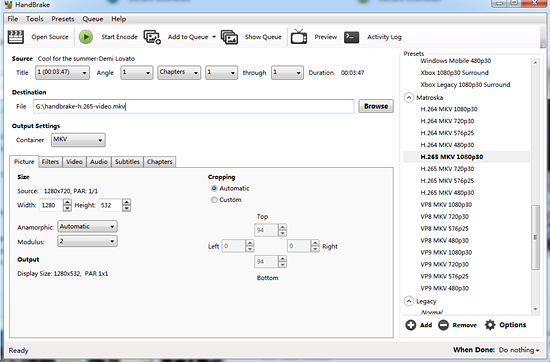 For users who plan to encode H.265 files, Handbrake is a great choice. 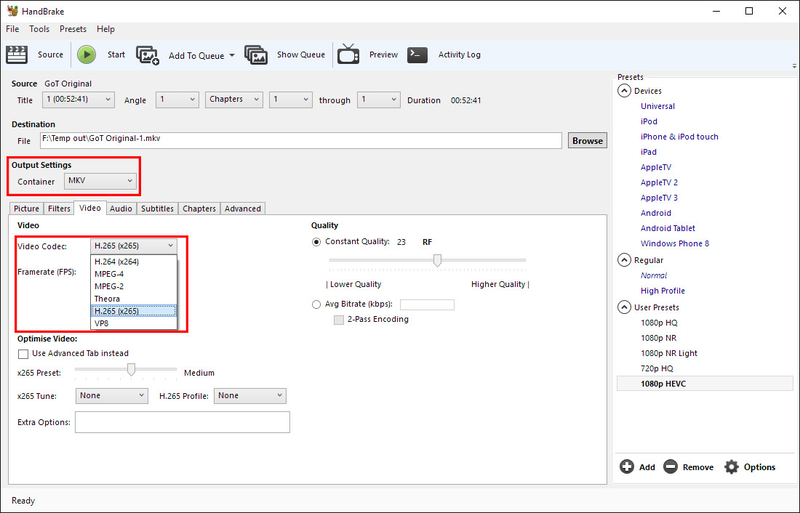 Handbrake has added Intel QuickSync Video for H.265/HEVC encoder and also the x265 encoder quality improvements especial using tune grain in its 1.0.0 version. However, there are still some issues when using Handbrake encoding H.265 files. If you're in such a situation, read on for details. 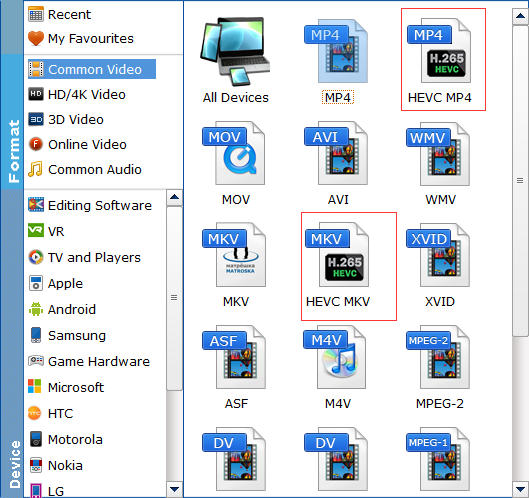 This article mainly shows you how to encode H.265 files with Handbrake and explore Handbrake H.265/HEVC encoding issues and solutions. Lauch Handbrake on your computer, Input the file you want to be transcoded by clicking the large Source button and then File (clicking Folder allows you to easily set up batch encodes). Then set a destination by browsing to whatever folder you desire. Go to the presets on the right side -> scroll down to find the Matroska profile -> choose H.265 MKV 1080p30, 720p30, 576p25 or 480p30 at your desire. Tips: You can tweak the settings. Generally, please leave the settings unchanged. Click Start button to begin to encode and convert video to H265 with Handbrake after finishing all the settings. Then you will get the high-quality H.265 video in small size. BTW, you can also apply Handbrake to convert H.265 video to H.264 with the same steps. Issue: "I try to output H.265 MKV file with the latest updated 1.0.0 version of Handbrake. Although I have get a good quality H.265 video with half size of H.264, however, I find that I can't play the encoded H.265 video on any video players even including VLC on my computer. What's the problems, any suggestions would be appreciated." Solution: Although there are many software options out there on your computer claims to support H.265 playback natively, however, as the H.265 decoding process is very processor intensive, therefore, you will easily encounter video playback lagging or stuttering issues when you try to playback H.265 with VLC, Windows Media Player, MPC-HC, Kodi, Plex, etc. When in that condition, make sure to update your H.265 player to the latest version. Issue: "It takes a long time to encode H.265 with Handbrake, are there any Handbrake alternative H.265 encoder software that allows me to generate H.265 file format more efficiently." 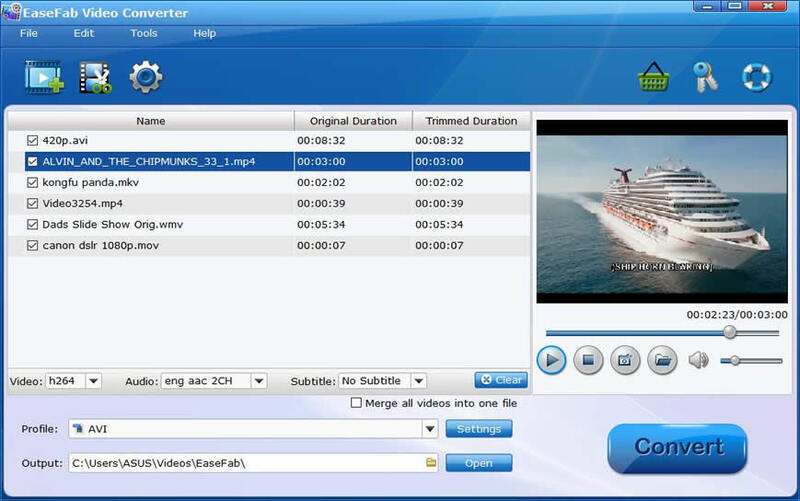 Solution: For advanced users who can better control of Handbrake output profile settings, you can easily get a better quality and small file size of H.265 files with appropriate settings. However, as Handbrake is an open source video transcoder application and it has old licenses to old H.265 profiles, in addition, H.265 is different from x265 which is the hero in the department. Fortunately, there are some programs that can take good advantage of Nvdia GPU hardware acceleration to largely accelerate H.265 encoding speed on a PC with NVENC Nvidia Graphic cards that supports Maxell (GM206) or Pascal technology. - Convert any digital video to H.265 MP4/MKV with good quality and small file size for viewing on computer with compatible media players, smartphones, tablets, game consoles or TVs. - Adjust output H.265 profile parameters such as video codec, bit rate, resolution, fream rate, audio codec, bit rate, sample rate and channels, etc to get better output video and audio quality. - Edit H.265 files by trimming unwanted parts, split it into small clips by file size, count or length, crop off the black bars or unwanted area, deinterlace interlaced video into progressive form, etc. - Decode H.265 to H.264 or other popular file formats or hot devices and programs preset profile formats. The program is very easy to use and the process is straightforward. Now just download the right version according to your computer OS and follow the tutorial below to start encoding H.265 files with the best Handbrake alternative. 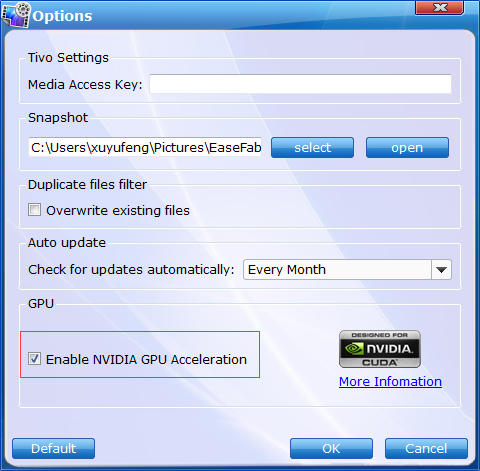 Click "Tools" > "Options", in the opened "Options" window, check "Enable NVIDIA GPU Acceleration" otpion so that the program will accelerate converion speed when encoding videos from/to H.265/HEVC files. From the drop-down list of "Profile" you can select "HEVC MP4" or "HEVC MKV" as the output format from the "Common Video" category or you can select the same preset from "HD/4K" category for higher quality. Tip: You can change the format parameters by click "Settings" button. you can adjust resolution(size), bitrate, frame rate, here. After all settings is completed, hit right-bottom "Convert" button to begin the H.265/HEVC encoding process. When the conversion is completed, you will get a perfect quality H.265 file with smaller file size for smoothly viewing and streaming on different devices.